Hello Everyone!!! DID YOU GUYS MISS ME?!!!! I've been pretty busy with school projects lately, and didn't really have the time to update this space! But no worries! I'll be back soon! Cuz I'm only left with 2 weeks till my vacation/holidays starts! Hahah! The main objective of this post is actually to ask you guys to do me a favour. As the title have already said, VOTE FOR ME PLEASEEEEEE! Cuz Cathay Lifestyle Facebook Page is currently having this online competition, whereby youths who were spotted and styled are required to garner votes from the public, and the highest Male and Female will each walk away with an Olympus EPL-5 camera!!!! I really hope you guys can vote for me! It's just taking 5mins (at most 10mins) of your time only, and this 10mins of your time can change my whole entire life!!!! Joey (iisjong) and Shenny (shennyyang) is also in this competition! Hahaha! If you want, you can give them their support as well! Hahaha! Cuz I really hope either one of them will win for the female title! Lololol! SO THIS IS HOW YOU VOTE FOR US!!! 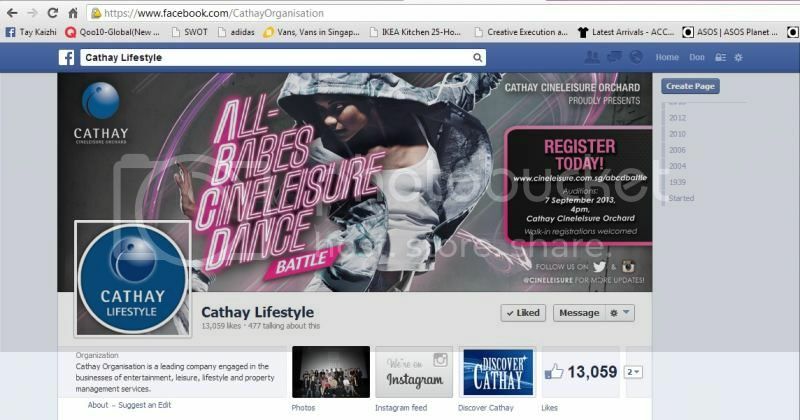 Firstly, go to your facebook page and type in Cathay Lifestyle on the search bar and you can see the icon on the image below! CLICK ON IT!! 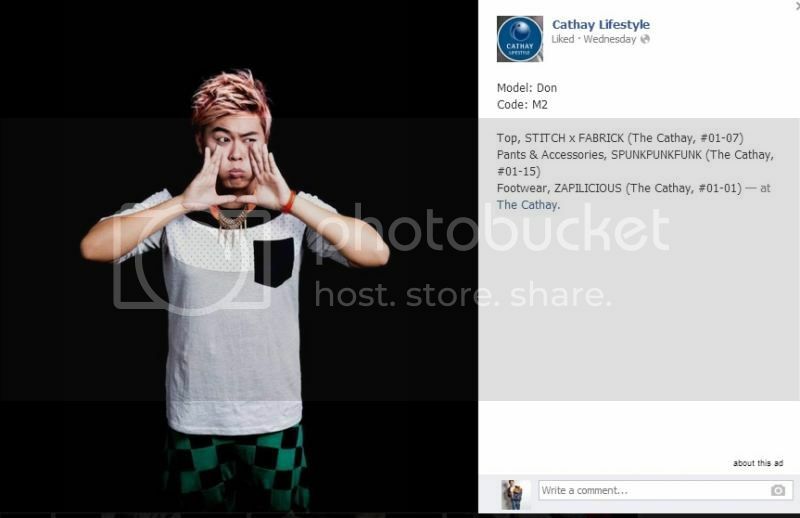 Then you will come to this page, which is Cathay Lifestyle page la! Hahah! Then you will have to LIKE the page!!! 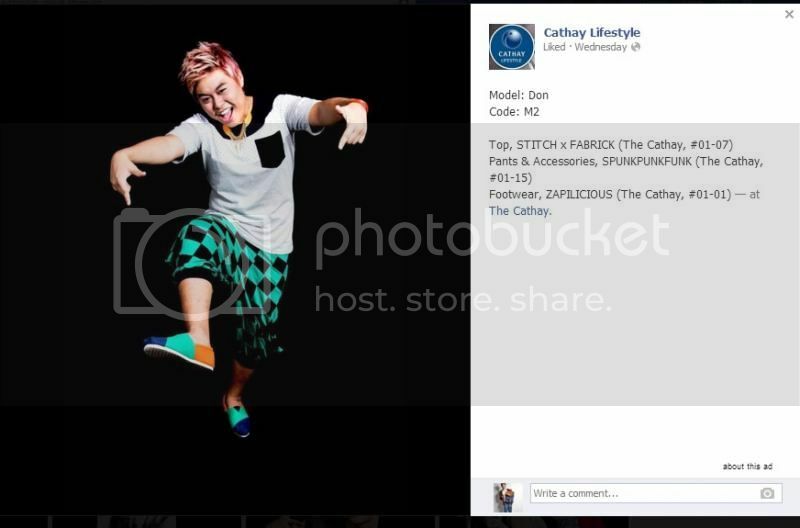 After you're done liking and screenshot the page, log on to your email and in the email, you will have to include, the screenshot/printscreen of the proof that you've liked the Cathay Lifestyle page, YOUR NAME, YOUR NRIC, and the my name and code, which is Don, M2 to contest@cathay.com.sg. EVERY VOTE COUNTS!!! Your 1 vote can change everything!!! Just in case you guys wanna see my photo that is up for the voting! Here it is!!! DON'T FORGET! DON! AND MY CODE, M2!! !